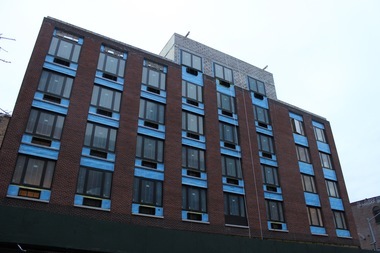 A new affordable housing complex on Herkimer Street in Bedford-Stuyvesant is offering 20 two-bedroom rentals starting at $573. The rest of the units will be reserved for individuals with mental health issues through supportive housing group, The Bridge. MANHATTAN — The affordable housing lottery last summer for 64 units at a high-end glassy tower on Madison Avenue was the first to get 100,000 applicants, according to data from the city’s Department of Housing Preservation and Development. But odds are slim that all of these applicants were actually eligible for the income-restricted units with washer/dryers and impressive Manhattan views at 160 Madison Ave.
Nowadays, it’s rare for housing lotteries to attract anything less than 50,000 applicants, but in order to qualify for the city’s affordable housing lotteries, New Yorkers must pass certain criteria. 1. Register through NYC Housing Connect. 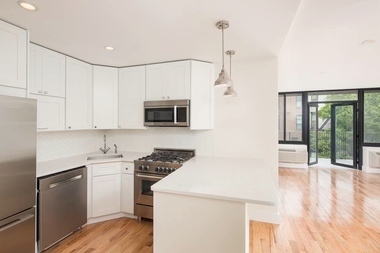 The kitchen in one of the market-rate units at 65 Park Place in Park Slope. The city is holding a housing lottery to rent four units in the building to people who meet income requirements. A family of four must make no more than $51,780 a year. You must apply for lotteries though NYC Housing Connect, which has more than 700,000 registered applicants, according to HPD. The city updated Housing Connect this month so it’s now available in six languages beside English — Arabic, “simplified” Chinese, Haitian Creole, Korean, Russian and Spanish. The online system also was expanded to include a section to apply for Mitchell-Lama developments — which have more than 50,000 affordable units — when they open their wait lists. Housing Connect allows you to fill out a profile, which you can easily update and use to apply to multiple new housing lotteries. You can also apply by mail, with the application postmarked before the deadline. Your chances of being selected in a lottery are the same whether you apply online or through mail, HPD officials said. If you’re applying online, don’t send in a form by mail, and vice-versa, for the same project. Duplicate applications are immediately disqualified. That also means if more than one member of a household applies to the same development, the household will be disqualified from that lottery, HPD officials said. Applicants who live in the five boroughs are given general preference over those who don’t, according to HPD. Those with mobility, hearing and/or vision impairments might also be given priority. 4. Understand income eligibility requirements. Your combined household income must be within a development’s minimum and maximum limits — and you’re going to need to prove your income with the proper documentation, along with your credit history, which must meet a particular developer’s standards. HPD has a helpful guide to help New Yorkers understand what’s needed for proof of income, including trickier scenarios, such as if you are self-employed, paid in cash, have occasional jobs like temping or weekend catering or receive income through disability insurance or alimony, for example. Generally, for a family of three, for instance, affordable housing programs are available to those earning between $31,080 a year up to $128,205 a year, according to HPD's income bands. But whether a project targets low-income, moderate income or middle income depends on a number of things. The city consults with local council members and the community board to help determine what is needed and what’s appropriate, HPD officials explained. 5. Once you’re in, you’re in — even if your income changes. If you land an apartment, you're in, even if your income goes up — or down. 6. Housing, legal or criminal issues could hurt your chances. If you’ve had previous issues in housing court and are on a tenant “blacklist,” that might work against you. A developer, however, cannot automatically reject an applicant based on housing records, according to HPD rules. If you can show, for instance, that a case was brought due to no fault of your own, you would remain eligible and have at least 10 days to contest a housing court record. Applications are due by April 11, 2016 to live in the 33 affordable units at 149 Kent Ave. in Williamsburg. 7. Once you submit, hold tight. The developers of each project are responsible for the random selection, interviewing and vetting of lottery applicants. It could take anywhere from 2 to 10 months to hear back while applications are being processed, HPD officials said. 8. If you get an interview, prepare for it — but it doesn’t automatically mean you won the lottery. If your number is called, the developer will bring you in for an interview to verify that you meet the eligibility requirements. It’s crucial that you’re prepared for the interview and show up for your scheduled time, since slots are limited, officials said. At the interview, you’ll need your paperwork in order: bring copies of birth certificates, IDs, pay stubs, tax returns, proof of address and other detailed documentation for each household member. After the interview with the developer, a city employee will review your file for accuracy and contact you with any questions. And if you’re eligible, you’ll be able to sign a lease… or you could be placed on a waitlist. If you’re on a waitlist, you’ll have to let the developer know every six months whether you want to stay on it. 9. You can appeal if you don’t get in. If you’re deemed ineligible after an interview and disagree with the rejection letter, you have two weeks or 10 business days to appeal, city officials said. You must, in writing to the developer, outline the reason you believe the rejection was erroneous. You can still continue applying to other affordable housing developments, city officials noted. 10. 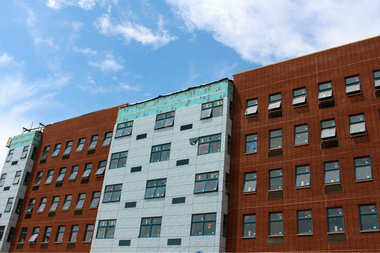 The city is revamping Housing Connect to include affordable vacant units that are being re-rented. Plans are underway to expand the affordable listings on Housing Connect to integrate units that are vacant or being re-rented, HPD deputy commissioner Anne-Marie Hendrickson said at a City Council hearing. When apartments turnover, she explained, developers will enter the unit's information into the system. Housing Connect will randomly select applicants who meet the eligibility requirements and preferences, and the developer will then screen prospective tenants. Currently, you must apply to individual developers and projects to be placed on waiting lists for such vacancies.